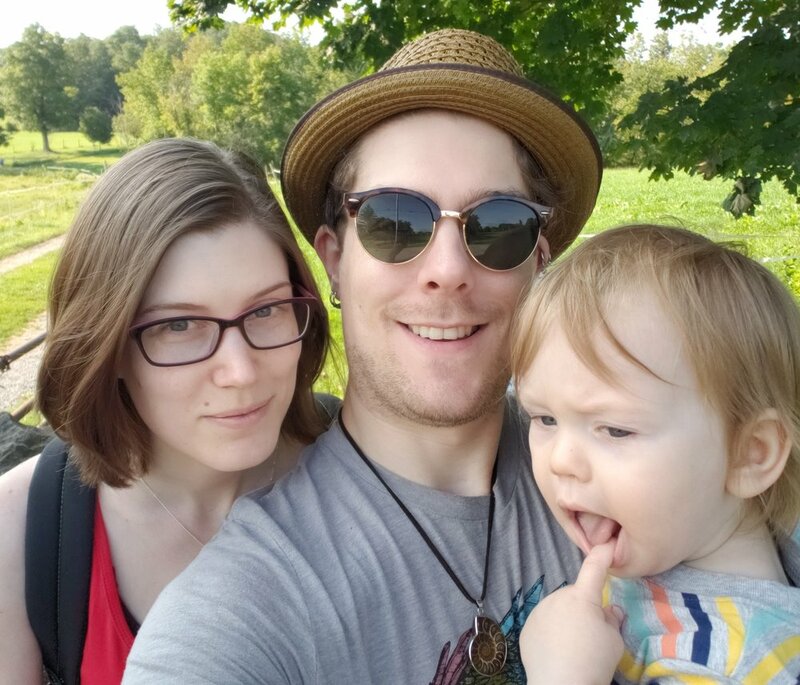 That’s me on the left, my goofy husband in the middle, and my goofier son on the right. We live in Connecticut where I paint little creatures, landscapes, and tell stories. My son is usually very busy eating cheese, and Nik is a man of many voice-related talents. If you’re curious about my novels, you can learn more here.